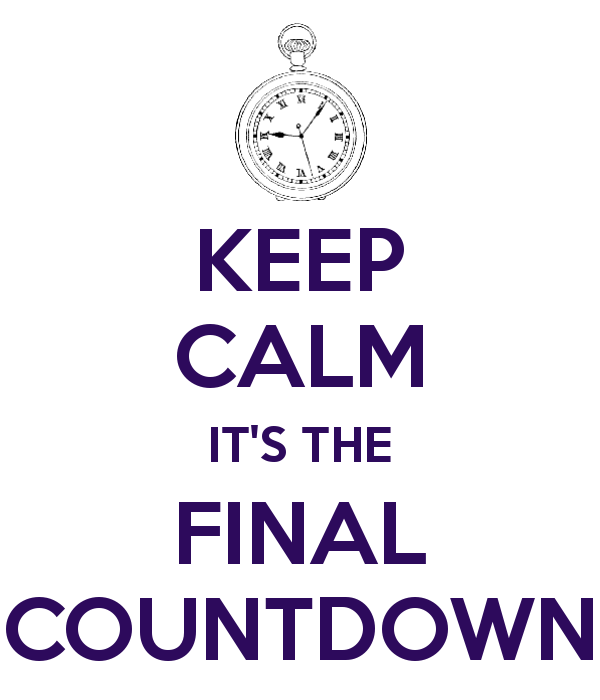 Brian Renshaw is making his final preparations for the Biblical Studies Carnival XCV for January 2014 at New Testament Exegesis. He has countdown and an extremely impressive form for submissions. Submit your favorite links this month in Theological and Biblical Studies to Brian and return to New Testament Exegesis to see his selections. As usual, at the first of the month there are usually a number of other carnivals and festival, maybe a fiesta or a fête, and if we are lucky a gala or jamboree. Aaron White at Moisissumus Mose will be our host next month, but I need volunteers to host in March (due 4/1) and April (due 5/1). Jeff Carter has May (due 6/1), but the rest of the year is wide open. If you would like to host a Carnival on your site, please let me know via email (plong42 at gmail.com), or leave a comment below. Carnivals quite fun to assemble and are a great way to attract attention to your site. Book Review: Michael F. Bird, Are You the One Who Is To Come? Some scholars argue that Jesus himself did not intend to call himself a messiah, or even that he denied being the messiah. Anything that might be taken as “messianic claim” is dismissed as a secondary addition to the text by the early church as they told and re-told the story of Jesus in the light of their belief in the resurrection. The “post-Easter” Jesus became the Christ. By the time the Gospels were written, a belief that Jesus was the Messiah had taken root and the story of Jesus was written in a way to make him into a messiah. But the “Real Jesus” himself never claimed to be the messiah. Michael Bird addresses this question in Are You the One to Come? He states at the very beginning of the book that “the historical Jesus understood his mission, ministry, vocation…in messianic categories” (11). The first chapter of the book provides a short orientation to previous scholarship on Jesus as the Christ. Bird observes that the “well-word position” that Jesus never claimed to be the messiah is not as strongly held as it once was, primarily as a result of the so-called “Third Quest” for the historical Jesus (27) I would add here, the research into the Second Temple Period initiated by the New Perspective on Paul. In the last 50 years scholars like E. P. Sanders and N. T. Wright have explored the diversity of Jewish beliefs, including their messianic expectations. What Bird attempts to do in this book is to argue that Jesus saw himself in Second Temple Period messianic categories. The source of the Christology of the early church was Jesus himself. Bird’s second chapter surveys messianic expectations in the Second Temple Period. This is a very broad topic since there is a massive the primary literature from the period illustrating a variety of expectations. He begins with by tracing the development of messianic ideas through the Hebrew Bible, then shows how these expectations were sometimes enhanced by the translations of the Hebrew Bible into Greek and Aramaic. Citing Numbers 24:7 as an example, Bird argues that the translators of the LXX “created Messianism” by combining texts to create an exilic hope for national deliverance (45). In order to show that messianic expectations were high in the first century, Bird lists and briefly describes how the Qumran Community interpreted the messianic texts from the Hebrew Bible and how some of these texts were used by “messianic pretenders” both before and after Jesus. This trajectory from the Hebrew Bible through the Second Temple period provides the context for Jesus’ messianic self-understanding. Chapters three and four are subtitled: “a Role Declined?” and “a Role Redefined?” In the third chapter, Bird examines the evidence often used to argue that Jesus did not claim to be the messiah, primarily the post-resurrection faith that developed into the Christology of the Church and the “Messianic Secret.” But if Jesus did not claim to be the messiah, there is no good explanation for the sign on the cross, “King of the Jews.” That seems to imply that Jesus was in fact claiming something that could be understood as messianic. Chapter four is the heart of the book. Here Bird looks at the evidence from the Gospels that Jesus’ whole career was “performatively messianic” (78). By this he means that Jesus did not necessarily claim to be the messiah, but rather that he acted out the sorts of things expected by the messiah. I expected the chapter to discuss Jesus’ miracles as a sign of the new age, or the feeding of the 5000 as an enactment of the Good Shepherd image, the triumphal entry and Temple action, or even table fellowship as a messianic banquet (which Bird does mention several times in the chapter). Rather than a catalog of “performative acts,” Bird first has an excellent discussion of Jesus’ self-reference as the Son of Man, a saying of Jesus. He argues persuasively that the title is drawn from Dan 7:14, but also that Jesus combined that title with the “smitten shepherd” metaphor in Zechariah 13:7. Jesus as a suffering Messiah is means by which Jesus enters into eschatological suffering on behalf of others. Second, Bird argues that Jesus is not just the Son of Man, but he is the anointed Son of Man. After has been active for some time, the imprisoned John the Baptist asks if Jesus is the “One Who Is To Come.” Jesus’ response is an allusion to a series of texts from Isaiah describing the messianic age as a time when the blind will receive sight, the lame will walk, the lepers are cleansed, etc. Here Jesus answers John’s question “obliquely but affirmatively” (101). Bird then shows that these sorts of messianic expectations were present at Qumran (4Q521) “despite the protests of several scholars” (103). In fact, this chapter concludes with a short survey of the “I have come” sayings in the gospels. Third, Jesus’ preaching of the Kingdom of God implies the presence of a King, and in the much of the literature of the Second Temple period, the “dividing line between king and messiah is very thin” (105). Returning to the sign on the cross, it seems obvious Jesus must have preached something that caused the Romans to treat him as a rebel, or a supposed “king of the Jews.” There are many allusions to David and Solomon as well that support the claim that Jesus thought of himself as a King/Messiah. I suspect that some readers will take issue with these three points since they are embedded in the teaching of Jesus. The Son of Man sayings are often rejected by historical Jesus scholars (especially in the more extreme practice of the Jesus Seminar). The same is true for the programmatic statement in Luke 4; critical scholars will deny that Jesus could read and Luke created the whole scene to portray Jesus as a “scholar” who reads and interprets Scripture. Bird does not get too distracted by “authenticity” questions, but he makes some use of the “criteria of authenticity” (e.g., multiple attestation, p. 109). The classic historical Jesus scholar is not going to like this since he uses the criteria to show the sayings are likely authentic. At the same time, the use of these criteria is falling out of favor with some scholars. In the fifth chapter Bird addresses the difficult problem of a crucified messiah. Even Peter had a difficult time reconciling Jesus’ claim to be the messiah with his insistence that he would go to Jerusalem and be crucified. When Peter makes his climactic confession in Mark 8:27-30, Jesus does not correct him by denying that he is the messiah, but rather he provides further definition of what the messiah’s mission will include when they finally arrive in Jerusalem. Here Bird examines the anointing at Bethany, the Triumphal Entry and the Temple action as performative messianic claims. The arrest, trial and crucifixion are only explicable if Jesus had claimed something messianic in that last week (if not his whole career to that point). In the final part of this chapter (and anticipating his final chapter), Bird argues that the earliest followers of Jesus remembered Jesus life and teaching after his death and resurrection and began to re-tell the story of Jesus as the “anointed one” who fulfills the prophetic plan of Isaiah in his ministry (146). Jesus was never remembered as a martyr, but rather a crucified messiah, something that simply does not appear in any strand of Second Temple period Judaism. In the last chapter of the book is a brief sketch of “messianic Christology.” This chapter is not a Christology in the traditional sense, but rather a set of implications drawn from the previous study. If Jesus did indeed claim to be Israel’s messiah, then he did so “from Israel and to Israel.” Jesus cannot be understood properly outside of the context of the story of the Hebrew Bible. Conclusion. This book appeared while I was working on my dissertation on the messianic banquet, so I quickly read through the book looking for material that I could use in that project. Much of the material in the first few chapters was familiar since I was working through similar issues. When I was asked to review the book as a part of the Logos Library I was able to re-read the book more slowly in order to catch the overall flow of the book. The book would make an excellent college or seminary textbook in a Gospels class since it does an excellent job describing the variety of messianic expectations in the Second Temple Period. It is not overly technical, although some of the details from the Dead Sea Scrolls might be overwhelming to some readers. The footnotes provide a rich bibliography for readers who desire to dig deeper into messianic expectations in the Second Temple Period. Additional Comment: I read this book in print, but it is also available as part of the Baker Jesus Studies collection from Logos Bible Software. The Logos version includes real page numbers and the reader can take advantage of the note-taking and highlighting tools in Logos. One advantage to the Logos reader is that all scripture references are linked to you preferred Bible, including the Apocrypha, Pseudepigrapha and Dead Sea Scrolls if you own those books in your Logos library. If you do not have those books, clicking an abbreviation will float a window identifying the meaning. For example, click on 1QM and a window appears telling you this is the War Scroll. If you download the book to your iPad for reading with the Logos app, all footnotes appear on the page you are reading along with the real page numbers. NB: I purchased the physical copy of this book from my local bookseller, but thanks to Logos for kindly providing me with an electronic review copy of this book. This did not influence my thoughts regarding the work. Fisk. Bruce N. A Hitchhiker’s Guide to Jesus: Reading the Gospels on the Ground. Grand Rapids, Mich.: Baker, 2011. 288 pp. Pb. $23.00. Link to Baker Link to Logos. 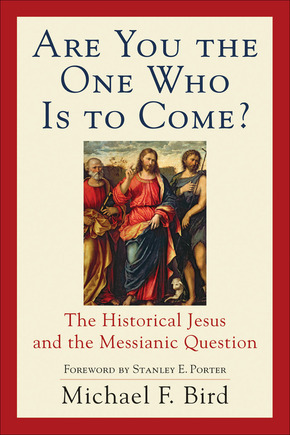 Bruce N. Fisk has written a very entertaining introduction to the study of Jesus that touches on many important issues through the fictional adventures of a student visiting Jerusalem in order to find some answers to his doubts about the “historical Jesus.” The book follows the travels of Norm Adams, a student who read Bultmann in a university religion class and found his faith shaken. The class was taught by Professor Guilder. Guilder represents the assured findings of the “scholarly guild” on each issue. As he travels Norm exchanges emails with Guilder asking about specific issues. Norm decides that an extended stay in the Holy Land might just answer his nagging doubts about Jesus. The book is illustrated with photographs and drawings by the author. Some of these are line drawings, others are pages torn from primary sources, with underlined phrases and marginalia giving the impression that the student is wrestling with their contents. Charts are printed as pages from Norm’s notebooks. Sidebars appear as “sticky notes” in the margin, usually with a quote from a significant scholar commenting on the topic at hand. These make the book feel like a real travel journal. While these features work well in the print version of the book, they are less successful in the Logos version. Some the line drawings are well done and all the photographs are reproduced, but the sticky notes and charts are (mostly) simple grids or boxes. There are plenty of cultural references that should appeal to a wide range of readers: The Simpsons, Bob Dylan, Leonard Cohen, Bob Marley, and Bruce Cockburn; from Shakespeare to The Beatles, with frequent reference to dialogue from Monty Python. The title of the book is an obvious hat-tip to Douglas Adams and ought to give the reader an idea the sort of humor found in the book. There is some current political commentary in the book, although it seems fairly balanced. Told through the story of the hitchhiker, a political agenda is muted. I think I would enjoy having a conversation with Fisk! Chapter 1 uses the plane ride to Israel and a discussion with a fundamentalist to present evidence from Pliny, Tacitus and Josephus for the existence of Jesus. In Chapter 2, Norm explores the existence of John the Baptist and has a chat with John Meier on the criteria of authenticity. After meeting some apocalyptically minded travelers, the student visits Qumran, the pilgrim map at Madaba in Jordan, then the traditional baptism site. Chapter 3 uses a trip to Bethlehem to discuss the virgin birth of Jesus and the “true scandal of the Trinity” (77). Chapter 4 deals with the miracles of Jesus. Fisk opens with dialogue from the Life of Brian, name-checks Middle Earth, Wallace and Grommit, The Truman Show and Stigmata – and that is just the first page! I particularly liked his description of a modern Arab wedding banquet, especially given my interest in the wedding banquet image in the synoptic gospels. Fisk provides an excellent chart connection Jesus’s actions in John 2 with Jesus’ bridegroom sayings in Mark 2 and Luke 5. Chapter 5 follows Norm as he compares the various versions of Peter’s confession at Caesarea Philippi. This leads to a “dream sequence” featuring a long discussion in the “Hall of Questors.” Here Fisk presents the criteria of authenticity via a discussion with John Meier as well as the meaning of the phrase “coming of the son of man” with Scot McKnight (Tom Wright was asleep, having just finished another book), and James Dunn (“call me Jimmy”). Fisk does include pre-millennialist views (my dreams for a meet-up between Tim LeHaye and N. T. Wright were not realized, sadly). I am disappointed that Tim LeHaye was used as the representative of pre-millennialism, especially since meeting Darrell Bock in Jerusalem would have made for entertaining reading! In Chapter 6 Norm follows the last days of Jesus as he entered Jerusalem. He begins with a reflection at the little chapel known as Dominus Flevit on the Mount of Olives. This the traditional site of Jesus’ weeping over the city of Jerusalem, just before the triumphal entry. Norm spends some time in the chapel thinking about the meaning of Jesus’ actions on the Mount of Olives, crossing the valley and riding up to the city of Jerusalem on a donkey. After quoting Hermann Reimarus on the meaning of the Triumphal Entry, “one of my German ghosts,” Norm comments, “full points for drama, Hermann. Zero for plausibility.” Rather, Norm understands that the actions point to Jesus as the Davidic King, the Coming One, the Messiah, and the Savior. Chapter 7 concerns the crucifixion and resurrection of Jesus. In this chapter Norm does not start at the traditional site of the Garden of Gethsemane, but rather the Grotto, where there is an ancient olive press. Norm reviews here Jesus’ prayer in the garden and thinks about what it means to be a martyr in the First Century. Comparing texts from Polycarp and 4 Maccabees, Norm wonders if “martyr” is the best description of Jesus. Norm eventually moves on to the Holy Sepulcher and does what any protestant does when they visit the Church: he watches the various liturgies with a sense of wonder (and not a little confusion!) While in the Holy Sepulcher, Norm discusses the possibility of a bodily resurrection as well as evidence like the James Ossuary and the Talpiot Tomb. As Norm prepares to return home after his lengthy stay in Israel, he reviews what he has learned in his own person “quest” for Jesus. Is it possible to “discover” the historical Jesus and have all questions of faith answered by archaeology and history? “If the Jesus of history will not be pegged, pinned, the Jesus of Scripture is almost as elusive” (266). Conclusion. I will confess: When I first saw Fisk’s Hitchhiker’s Guide in the bookstore, I dismissed it as a shallow book attempting to cash-in on the “For Dummies” style book. But this was a false impression, for which I repent. The content of the book is excellent and the presentation is entertaining. To some extent the book reminds me of the books by Peter Kreeft (such as The Journey) that use fiction and creative dialogue to get at serious philosophical questions. Logos did a good job reproducing the book in the Logos format, considering the variety of graphical items in the text. The book is available through Logos at a discount as part of a Jesus Studies Collection from Baker Academic. All of the books in this collection are worth reading. Fisk succeeds in presenting some of the more difficult problems for modern people studying the Historical Jesus in an entertaining and compelling fashion. The book would make an excellent textbook for a Gospels class at the undergraduate level and a good introduction for a layperson wanting to get an understanding of some of the more difficult issues discussed by Historical Jesus scholars. While this would not make a very good “hitchhiker’s guide” for a visitor to Israel, Fisk does accurately reflect the sites that Norm visits. NB: Thanks to Logos for kindly providing me with a review copy of this book. This did not influence my thoughts regarding the work. The writer began by proving that Jesus is superior to the angels in chapters 1-2, and not who will show that Jesus is superior to Moses. Why move from angels to Moses? For most modern readers, angels are superior to humans, so if Jesus is superior to angels, he would obviously be superior to Moses as well. Sirach 45:1-2 …and was beloved by God and people, Moses, whose memory is blessed. He made him equal in glory to the holy ones, and made him great, to the terror of his enemies. In addition, messianic hopes in the first century sometimes focused on the coming of a prophet like Moses. 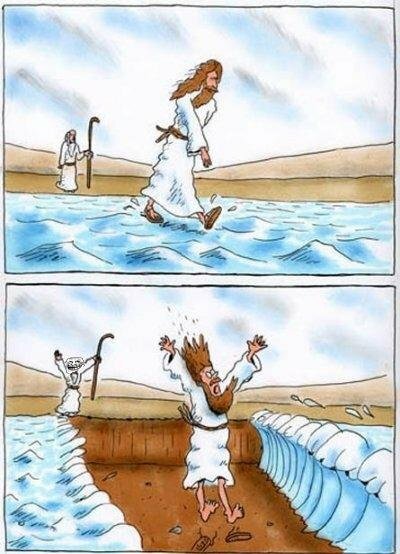 Hope for a “return of Moses” as messiah was so strong that at least one messianic pretender stopped the Jordan in a re-enactment of the crossing of the Red Sea. Matthew’s gospel is designed to highlight Jesus as a new Moses who goes up on the mountain and gives the people the Law–the Sermon on the Mount! One might have offered a counter argument to the first two chapters of Hebrews: Jesus might be superior to the angels, but the ultimate servant of God was Moses, who gave the Law. In the context of the first century, then, our author will argue that Jesus is a superior to even Moses as a servant of God. Ultimately, this will lead to the conclusion that the covenant which Jesus made (the New Covenant) is superior to that of the Old Covenant made by Moses. In verse two Moses is compared to Jesus, then he is subordinated to Jesus (verse 3) and by verse 5 he is contrasted to Jesus, negatively. The author of Hebrews makes a “lesser to greater” type of argument. If Moses was faithful in God’s household in the previous age, how is Jesus be superior to him in the present age? First, Jesus is superior because he is the builder of the house. Here the writer is making the point that Jesus is God, and because God is the designer of the administration that Moses presided over, he is therefore superior to him. Second, Moses is a servant of the house, but Jesus is the son of the Builder, and therefore heir to the administration himself. He is of a different class that Moses, beyond servant. This takes into consideration the first argument of the book, that the angels were servants, but Jesus is the son. Moses is a servant, but the word here is unique in the New Testament to Moses. It is not a slave, but an “attendant,” one who “renders devoted service” (BDAG). The LXX uses the word for Moses in Num 12:7 (as well as Exod 4:10 and 14:31). Moses was a servant of the first class, but he is still a servant of Jesus, and therefore subordinate to him. What else in Hebrews 3 shows Jesus as superior to Moses? 1 Peter 1:16 – Be Holy! In his opening prayer for his readers, Peter described our salvation as “unable to be lost.” By its very nature, our great salvation cannot fade or be destroyed and God himself keeps it safe in heaven. If this is true, then there are some ethical implications – why should the believer live out a live that is moral and ethical, if salvation is no longer dependent on good behavior or adherence to ritual? The reason, Peter says, is that our great salvation was bought with the ultimate price, the blood of Jesus. We ought to therefore be holy, because the one who has called us to this great salvation is holy. Peter state that since the Lord has called us to such a great salvation, we ought to “be like” him, citing the book of Leviticus. Typically modern readers think of holiness as some sort of moral quality, avoiding certain vices and practicing certain religious virtues. 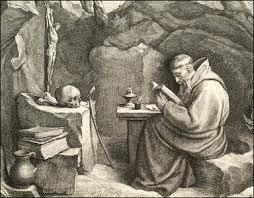 A “holy man” is a monk who lives in a cave and does nothing but pray and meditate all day long. They are separate from the world quite literally. But holiness in Leviticus is always associated with something that separates Israel from the world. One example might be the food laws. We read Lev 17 and wonder how God could forbid his people from eating pig (usually we try to find some reason for God’s commands, maybe there was a health reason for avoiding pork, etc.). But the food laws function as a boundary marker, defining how the covenant people are to live differently than the nations. At the very foundation of all of the commands of Leviticus is the idea that God himself is holy, completely separate from sin. He expects his people to be separate from the world as well and he gives a series of principles in Leviticus that will ensure that God’s people think and act differently than the world. What is holiness in this context? To be holy is to be set apart from the world in some very real way. In the present age, this is certainly not following the Law from the Old Testament (if you wonder about this, re-read Galatians!). But it means being separate from the way the world thinks and behaves. If we are “changing the way we think” in order to be more holy, then there are many ways in which we will start to think differently and talk differently than the world. In the case of the first century, the Christians began to think differently about the Roman Empire. The Emperor did not bring peace to the world, and salvation is not to be found in loyalty to the Roman empire. The gods honored by the Roman world are not true gods at all. All this lead naturally to withdrawal from civic events that honored Rome and the Emperors as divine; they did not participate in festivals that were dedicated to the worship of the gods. This is easily illustrated in the way the secular world describes an unborn baby (fetus or baby? ), or perhaps in the way the secular world defines tolerance (toleration of any views except conservative Christian), or variations in sexual practice (preference as opposed to deviation?). The bottom line is that if you are preparing your mind and thinking clearly, then you will think different than the world in many ways. And some of those thoughts will be dangerous! In his recent book on Paul, N. T. Wright argues that Paul has foot in three worlds, the Jewish, the Greek and the Roman worlds. His Jewish worldview is reinterpreted in the light of the death and resurrection of Jesus the Messiah and Paul’s mission is to present that reinterpreted Jewish Messiah to a world dominated by Greek categories of thought and Roman social practice. But as I mentioned in my last post, the final books of the New Testament canon seem to be written to primarily Jewish audiences that were not “Pauline” churches (i.e., mixed congregations of Jews and Gentiles). Hebrews through Revelation are Christian, but with a decidedly Jewish-Christian appeal. A couple of years ago I posted a summary of Raymond Brown’s article on Jewish Christianity (part 2 and part 3) and found myself in agreement with the idea that the Christian church is rooted in Judaism. There was a range of opinion on how the followers of Christ related to the Jewish Law. While it is popular enough to emphasize the “Jewishness” of Jesus or Paul, there is still dissent in describing the roots of Christianity as “Jewish” and resistance to considering the “other letters” as a “Jewish Christian” literature. Jacob Neusner, for example, does not believe that there is a common foundation for both Judaism and Christianity. Neusner states that “Judaisms and Christianities never meet anywhere. 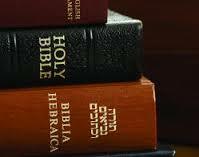 That is because at no point do Judaism, defined by Torah, and Christianity, defined by the Bible, intersect” (p. xi). He contrasts Christians and Pharisees as an example of this absolute disconnect. Both Pharisees and Christians “belong to Israel,” Neusner says, but they had completely different definitions of “Israel” to the point that they could not even have dialogue. Christians say “Israel” as salvation, while Pharisees saw “Israel” as a way of life (3-4). Christianity is all about salvation (in the next life), while the Pharisees is all about sanctification (in this life). His point is well taken, since Judaism is not as much interested in salvation “out of this world and into heaven” but rather living out God’s will in this life. But in a typically Neusnerian fashion, he makes this dichotomy so strong that the two cannot be said to have any common ground. In my view, he is taking Christianity as we know it from the fourth century and later as his model of what “Christianity is” and (rightly) judging it as having little or nothing in common with Judaism. This is a problem for many studies of the first-century church. There is an assumption that the earliest believers in Jesus were somehow more correct in their doctrine and practice than later generations. I cannot agree with this, since the earliest believers hardly worked out the implications of who Jesus claimed to be let alone what impact the Christ Event would have on “Israel.” They were Jewish people who believe Jesus was the Messiah and that salvation only comes through him. In practice, there was as much diversity as there was in Judaism at the time. While James was welcome in the Temple courts, Peter and John were tolerated there, but Stephen and the Hellenists likely were not welcome. All were Jewish and would likely consider themselves the “correct” continuation of Jesus’ ministry. It is not until Paul’s letters that there is a serious attempt to understand Jesus’ death and resurrection and the implications that these events have for Israel. For Paul, the people of God are a family (like Jesus taught), but also the Body of Christ. Neusner correctly picks up on this and sees this as a dividing point between Christianity and the Pharisees as well. Paul says that whatever the people of God are, they are a unique group apart from historic Israel. If this s the case, what do we have in the Jewish Christian literature? Are James, Peter and John Jews or not? Could a Jew in the first century maintain their “Jewishness” and be a follower of Jesus? Or are these mutually exclusive categories? Bibliography: Jacob Neusner, Jews and Christians: The Myth of the Common Tradition. Classics in Judaic Studies. New York: Binghamton University, 2001. Originally published by Trinity International, 1991. The 2001 edition has a 40 page preface written for that printing. It is possible that the original readers of 1 Peter wondered about the status of their salvation. They knew that God had promised the Jewish people a return from the exile, a return to the “promised land” and a righteous and just king to rule over them in a time of prosperity. Yet the Jewish people remain in exile, Rome rules over them with an iron fist, and the political circumstances of the early 60s would seem to indicate that some sort of war between Rome and Jerusalem was inevitable. The original readers believed that Jesus was in fact the messiah and that his death and resurrection had inaugurated that new age. They were awaiting the return of the messiah to establish his kingdom in Jerusalem. But instead of a glorious return of the messiah, the original readers of this letter were suffering oppression and persecution as a result of their faith in Jesus as Messiah. It is unlikely this was the sort of systematic persecution by Rome that would later be the case, but it was no less shocking given the hope they have in Jesus. Does the persecution mean that they have not inherited salvation? Have they put their faith in Jesus in vain? Peter’s point in these opening verses is that the believer in Jesus has a new status (they are born again into God’s family) and that their inheritance is kept for them by God himself. In fact, by its very nature, their inheritance is unable to fade or become worthless. Peter describes our salvation as an unfading inheritance (vv. 3-5). Peter is writing to Jewish Christians who are in fact suffering for their faith, so in this introductory prayer he introduces the main themes of the letter. The Christian will suffer in this age, but that suffering is not an indication of punishment. In fact, genuine salvation is completely secure because it is kept by God himself. First, we are born again into a living hope. While “born again” is a common way to describe Christians in the contemporary church, Peter is the only writer in the New Testament to use the verb ἀναγεννάω to refer to the spiritual experience of the believer, although the concept appears in 2 Cor 5, for example, and is implied in several adoption passages (we are children of God, etc.). John 3 also describes a relationship with Jesus as being born again. Second, unlike an earthly inheritance, our salvation is an inheritance that is “imperishable, undefiled, and unfading.” A Jewish reader might hear the word “inheritance” as an allusion to the Promised Land, and these Jews are living outside that inheritance in the Diaspora. Peter therefore uses three words to describe our salvation in terms in order to highlight the fact that by nature this inheritance cannot be lost. On the other hand, virtually the entire ancient world would understand the importance of preserving an inheritance for their descendants (Jobes, 1 Peter, 86). There was a great deal of social status and honor tied to the size and quality of an inheritance, and most people would have known a situation where an inheritance was far smaller than expected! Imperishable (ἄφθαρτος) obviously refers to something that does not die. It is rarely used in the New Testament (8x including variants). It is likely that the next two words are expansions on the idea of an imperishable salvation. 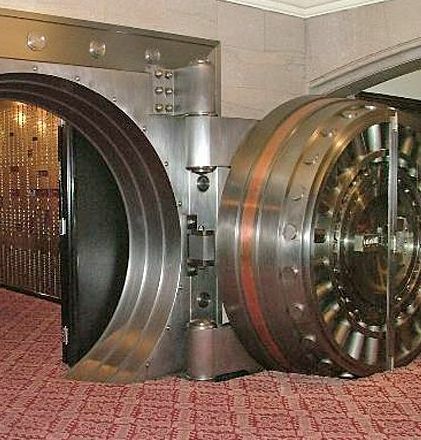 How is our inheritance safe? It is pure and unfading. Paul used this word for the immortal God (Rom 1:23, 1 Tim 1:17), our reward (1 Cor 9:25) and our resurrection body (1 Cor 15:52). Undefiled (ἀμίαντος) can be translated “pure” in a moral sense (Heb 7:26 for Jesus as the pure high priest), or a religious sense (James 1:37). 2 Maccabees 14:36, 15:34 uses the word for the temple, and it appears three times in Wisdom (3:13, 4:2, 8:20). Unfading (ἀμάραντος) only appears here in the New Testament, and in the LXX only in Wisdom 6:12 (unfading wisdom). 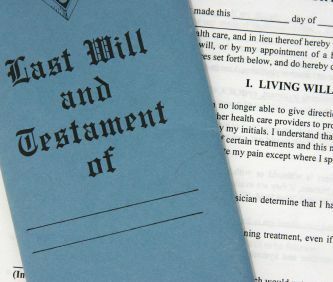 Peter’s point is that the readers do not need to be concerned that their inheritance will be lost since it is “unable to be lost” by its very nature. Third, our salvation is secure because it “has been kept in heaven” and guarded by the power of God. The reason our great salvation is secure is that we are not guarding it, God the Father himself is keeping it for us. The Greek syntax is important here, the verb is a perfect passive participle. Our inheritance has already been kept (the perfect) and it is not kept by us, but for us (the passive). The believer is not responsible for keep their salvation, or maintaining their salvation. It is an expectation that will be realized at some point in the future. Ultimately that salvation will not be fully revealed until the “last time.” While we might here “when we get to heaven” in this statement, Peter has in mind the return of Jesus, the ultimate vindication of Jesus as the Lord of this world. We tend to think something like, “since Jesus died for me, I get to go to heaven,” which of course is true. But Peter’s Jewish theology and world view emphasized the return of Jesus to render justice and establish his kingdom more completely. In summary, we can be certain that our salvation is secure because it is based on the death and resurrection of Jesus, by its very nature it cannot decay, and it is being kept by God himself in heaven. If this is the case, what should Christians think about their “present suffering”?